Wholesale Trader of a wide range of products which include usnooz - massage wrap. A gentle massage is a great way to de-stress and improve sleep quality on your travels. With plush microfabric and a snug memory foam fit, the uSnooz Massage Wrap envelops you completely in a wave of calming feel-good sensation. Its built-in massager has 6 unique vibration programmes that effectively loosen tensed, knotted muscles to ease body aches and stiffness. Let the gentle vibrations lull you into a sense of calm and relaxation, while the plush material work its magic in providing a therapeutic touch that relaxes your mind. Travel- wake up feeling like you've been sleeping in your own bed! Let the uSnooz Massage Wrap's gentle massage ease the tension before you sleep, so that you can wake up feeling refreshed and energised. Perfect companion for your overnight flights. Feel the calming restorative powers of the ultra plush microfabric combined with memory foam as you surround yourself with the uSnooz Massage Wrap. 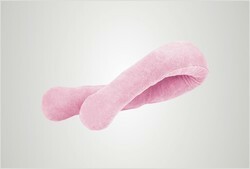 The gentle vibrations soothes away aches and strains to envelop you in complete relaxation. Looking for Neck and Shoulder Massager ?